The Mental Health Liaison Group (MHLG) monitors Congressional actions to impact additional mental health and addiction issues. Although the listed topics are where we find the greatest concentration of legislation affecting behavioral health in our nation, other issues are raised on occasion and will be found here. Issue statements from past Congresses appear below. For statements from the current session of Congress, view the other mental health and addiction issues statements page. MHLG Urges Mental Health Reform, 11.14.16: The Mental Health Liaison Group sent a letter to Senate leadership in support of passing the Mental Health Reform Act (S. 2680) and the Helping Families in Mental Health Crisis Act (H.R. 2646). MHLG Supports the Mental Health on Campus Improvement Act (S. 2685/H.R. 4374), 9.28.16: A Mental Health Liaison Group letter to Senator Durbin and Representative Schakowsky emphasizing the importance of this legislation in assisting colleges and universities to address their growing mental health needs. MHLG Urges HELP Committee Take Up the Mental Health Reform Act of 2015 (S. 1945), 10.27.15. The Mental Health Liaison Group sent a letter to HELP Committee leadership advocating their support of this legislation. MHLG Supports the Anna Westin Act of 2015 (S. 1865), 10.2.15: A Mental Health Liaison Group letter to Senators Klobuchar, Ayotte, Baldwin, and Capito in support of this bill that would help those affected by eating disorders. MHLG Supports the Anna Westin Act of 2015 (H.R. 2515), 10.2.15: A Mental Health Liaison Group letter to Representatives Deutch and Ros-Lehtinen in support of this bill that would help those affected by eating disorders. MHLG Advocates for the Mental Health Awareness and Improvement Act of 2015 (S. 1893), 8.6.15: A Mental Health Liaison Group letter to Senators Alexander and Murray of the HELP Committee supporting S. 1893, which fosters early detection of mental disorders, awareness, and understanding. MHLG Supports the Garrett Lee Smith Memorial Act Reauthorization of 2015, 5.15.15: The Mental Health Liaison Group sent a letter to Senators Reed and Murkowski in response to their legislation, which would support youth and college suicide prevention grants across the country. MHLG Supports the Garrett Lee Smith Memorial Act Reauthorization of 2015, 2.18.15: The Mental Health Liaison Group sent a letter to Representatives Jolly and Davis in response to their legislation, which would support youth and college suicide prevention grants across the country. 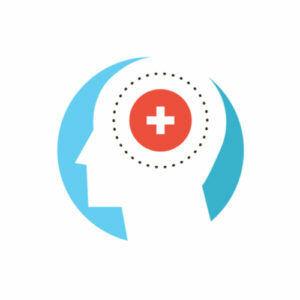 MHLG Critiques ONC Health IT Strategic Plan, 2.5.15: The Mental Health Liaison Group sent a letter to Acting ONC Assistant Secretary DeSalvo suggesting an alteration of their plan to include that behavioral health care settings must receive meaningful use payments to afford EHRs. Juvenile Justice and Delinquency Prevention Reauthorization Act of 2009. Letter endorsing S. 678 to the full Senate, 2-26-10. Establishing a Network of Health-Advancing National Centers of Excellence for Depression (ENHANCED) Act. Letter endorsing H.R. 4204 to Reps. Kennedy & Murphy, 12-9-09. Letter supporting the nomination of Pam Hyde as SAMHSA Administrator, 11-19-09. Mental Health in Schools Act of 2009 Legislation for expanding the availability of comprehensive school-based mental health services for students in communities across America. Endorsement letter of S. 1857 to Sen. Stabenow, 11-13-09. Letter to Senator Jack Reed endorsing his health reform amendment on mental health/primary care co-location, 7-8-09. Letter to Senator Durbin endorsing the Mental Health on Campus Improvement Act. 2-17-09. Healthy Transitions Act of 2009, (HR 691) Endorsement letter to Reps Stark, Bono-Mack and Camp. Letter supporting S. 1854, the Stop Senior Suicide Act, 8-30-07. Association Health Plan legislation, 1-16-03.
Letters to Senators Frist, Jeffords & Breaux on their draft Patients’ Bill of Rights Plus Act, 4-30-01. Letter supporting S. 2510, the Small Employers Health Benefits Program Act, 5-9-06. Letter opposing S. 1955, the Health Insurance Marketplace Modernization and Affordability Act, 4-12-06. Letter opposing S. 1955, the Health Insurance Marketplace Modernization and Affordability Act, 3-7-06.